BinCrowd is a tool you can use to create a central repository of reverse-engineered disassembly information and share this information with other members of your team. You can upload function names, comments, and other information you discover. 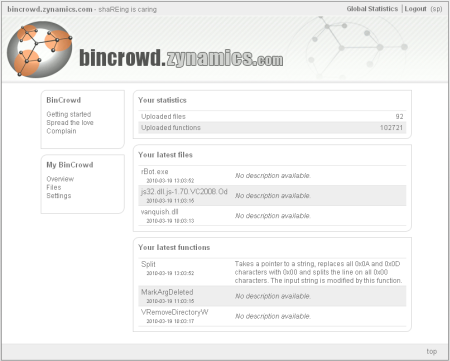 The fuzzy binary diffing algorithms behind BinCrowd allow you to transfer information not just between completely equal files but also between different versions of the same file. This is useful if you need to port names and symbols from an older version of a file to a newer version. 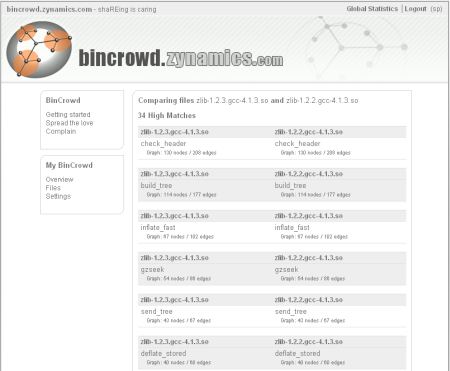 You can use the same binary diffing algorithms to discover in what binary files of your BinCrowd library a certain function is used. 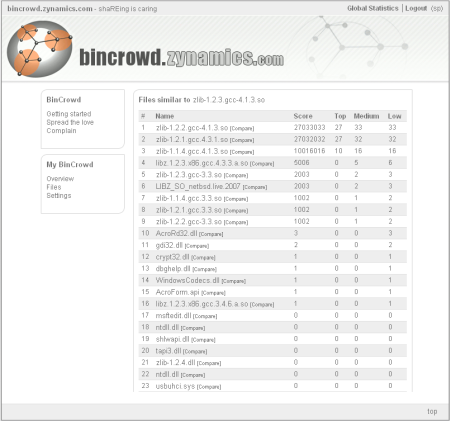 If you have found a vulnerable library function, you can use BinCrowd to find out in what binary files this function is used.